Uploaded by Anglesey Primary School on 2016-11-24. In topic, Year 6 children have been learning about recycling and on Thursday 6th and Friday 7th October 2016, we went to visit the Biogen Plant. We learnt about what happens to our food waste once it reaches the plant and how it is recycled. If Biogen did not exist, then all this waste would go to a landfill which creates a poisonous gas and a liquid called Leachate. 15 children from Year 6 got chosen for an overnight stay at the Brighouse in Atherstone on 6th October 2016. The children were accompanied by Mrs Skinner, Mrs Penn, Mr Bentley and Mr Hyland. I was one of the lucky children that got picked for this overnight stay. We had a fantastic time there and went out for a walk at 7:00pm! In Year 6, we have been learning about a black woman called Maggie Aderin-Pocock, who was diagnosed with dyslexia at the age of 8. She is now a successful space scientist, studying the wonders of space. The Year 6 choir is going pretty well so far and they previously performed during Black History Month. A few weeks ago, the CBSO came to our school to do a workshop with the choir. They asked us to write down information and lyrics about Birmingham because they are going to write a song about our city. We are going to meet later in the year and hopefully the song will be perfect! This term in Year 5 we have been learning about rivers. We visited the River Cole and the River Severn. We also had a science week! Some children got to go to King Edward VI Handsworth School for Girls. There, we learned about forces and space. During science week we did an experiment. We theorised that if you change the material used to make a paper aeroplane it may or may not affect the distance that it travels. We recorded our results from the experiment and checked our theories. These are some of the exciting things we did this term. I had fun and learned lots. I hope I can do more fun and exciting things like this in Year 6. Last week I went on four trips. I enjoyed going bowling and having an orange drink. We went to a museum and met a nice man called Steve. We dressed up in army uniforms and got to hold some guns used in World War 2. That was my best day! During SAT’s week a group of children went with Mrs Allen-Holmes and had the opportunity to visit some interesting places relating to year 4’s topic of World War 2. They visited Cosford Air Museum in Telford, Lichfield Cathedral and the Staffordshire Regiment Museum in Lichfield. They also enjoyed tenpin bowling and a picnic in the park. Today we watched the Lion King at the juniors. I liked the end when the baboon held the cub and when they sang at the start of the performance. During PE we have been learning all about African dancing. I really enjoyed it throughout the term because we learnt lots of simple, easy moves that we then, as a whole class, put into an African Dance. At the beginning I was hesitant to do the moves but gradually I got use to them and I really enjoyed it. I wish we could do dance forever! Since Autumn I have been rehearsing for the school play (The Lion King) and with lots of practise I’ve been able to gain more confidence in my acting ability. Also performing with the choir has given me more confidence in my singing. The choir have been joining in with all the songs and they have really helped the actors to enjoy themselves and get ready for our performances in March 2016. We have been learning about the Victorian author Charles Dickens. The books we have been reading are A Christmas Carol and David Copperfield. A Christmas Carol is all about a miserable, old man called Scrooge who hates everything! We had to write a diary in first person pretending to be him. After reading David Copperfield we worked independently on a mini saga to retell the story in just 50 words! It was hard work but we managed to complete them. During our Maths lessons we have been learning all about fractions, decimals and percentages. So far we have learnt how to turn fractions into decimals and decimals into percentages, as well as being able to find the fraction of amounts and shapes. In ICT and PHSE we have been learning how to be safe and stay away from danger, strangers and harm. We have been taught to not get involved in dangerous things that are not sensible. After discussing all the ways children can stay safe both outside of school and on the internet we were given the task of making our own safety posters focusing on these key points: stranger, danger, bullying and cyber bullying. These will be displayed around the school. With trampolines and foam pits it’s a place you would never want to leave. It was the best trip I have ever been on. When it was time to go back to school I felt I wanted to stay here forever. When I ran and jumped into the foam pit it felt even softer than a bed. We balanced on tight ropes and jumped like gymnasts. This has been my favourite trip. At the moment we are making a game where a ghost chases a dragon. I really enjoy Scratch. Although it is difficult at times, it is still a lot of fun. We have to fiddle with scripts. I really enjoy ICT. We experienced how two children, who only had an aunt and an uncle, lived in the workhouse. This was a brilliant day and we performed a play for our parents at the end of the day. We learnt songs and I cannot believe Dave Godfrey was in our school. It was a fun way to do numeracy. We had a great time and it was the best time I have ever had. We really enjoyed it and learnt more about maths and different ways to solve numeracy questions. During the month of October SL1 have been celebrating Black History. We have made African masks from a special type of wood. We used different colour paints to decorate our masks and we learnt that each colour has a different meaning. The gold on our mask means wealth and we designed our masks using symmetrical patterns. We also learnt an African dance. We used the masks we made in our dance and we had to listen carefully to the drum beats. We really enjoyed it. It was so much fun! Some of our children want to talk about what they have been learning. In literacy we have been looking at poems and their features. Right now we are comparing two poems which are called: The Caretaker and The School Grim Kreeper. We have also compared two other poems: Things that go bump and Noises in the night. I like The School Grim Kreeper the most! In history we have been learning about timelines. We have looked at the first female prime minister, the first man that landed on the moon and Queen Elizabeth's coronation. History is my favourite subject! In numeracy we have been adding and subtracting on number lines. We have been learning a song called table troopers to help us with our times tables. I like learning all about time! We have been on 2 trips in half term. They have been lots of fun. We went to Atherstone and Birmingham. In Birmingham we went to the Library and lots of other places. In Atherstone we went to the market. We were comparing the differences of urban and rural. I think its really fun. We will be comparing the differences of Atherstone and Birmingham. When we watched the assembly about Black History month it was fun to watch. 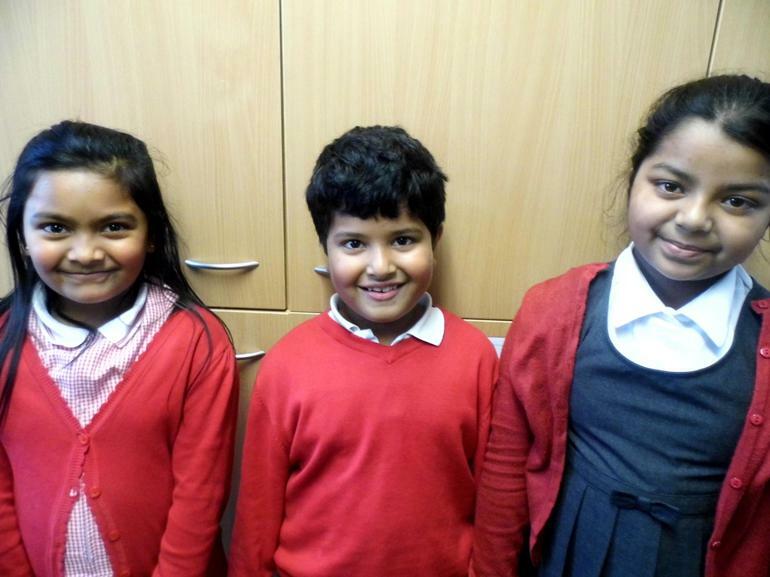 We learnt about Rosa Parks, Ghandi, and many more black heroes. 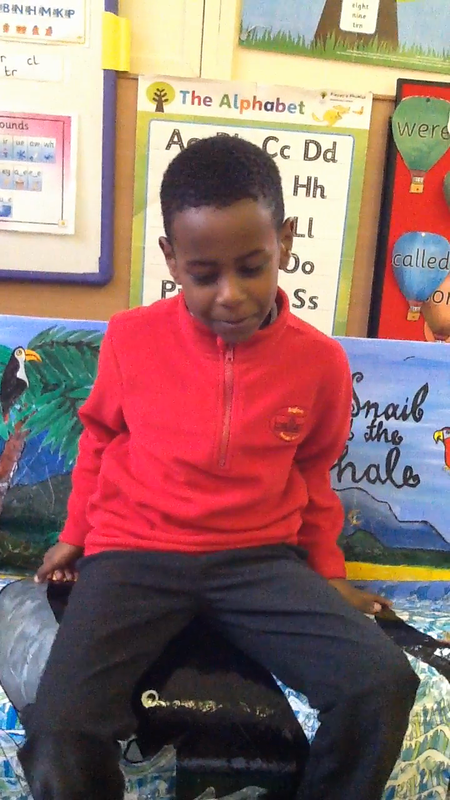 Year 4 acted out the bus boycott scene where Rosa Parks got arrested. The choir sang beautiful songs about lots of different things. The assembly was one of a kind, we all enjoyed it. On black history month we learnt about some famous people like Rosa Parks. She refused to give up her seat for a white man. On black history month we did some dancing and made masks. We had a lady visit and she taught us dancing moves, and on the masks we didn't use lines we painted dots. Welcome to the Year 5 blog about some of our work so far this year. 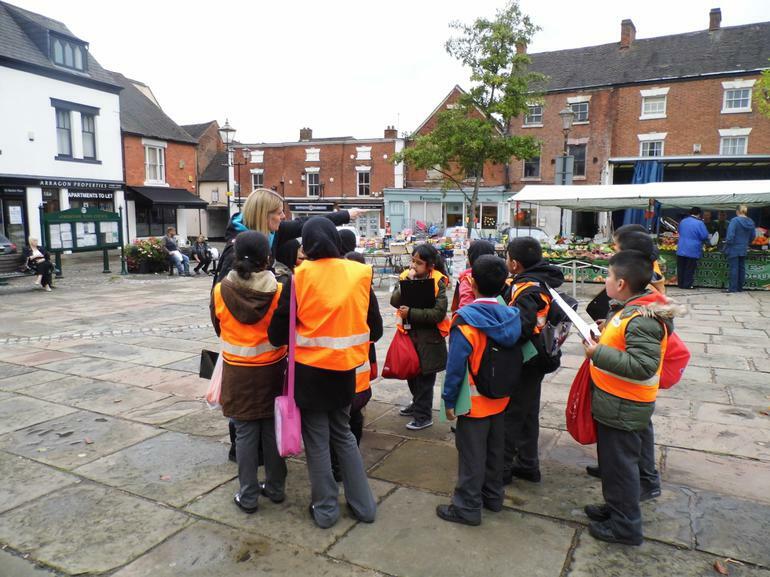 We had a great time at Safeside learning about fire safety and we also visited the Black Country Living Museum to learn about the Victorians. We had a fantastic time on both trips. The school choir has been fantastic so far. Later on in the year the choir will be going to the Young Voices concert with Year 6. The choir sometimes perform in front of the school. Hopefully we have a brilliant time. 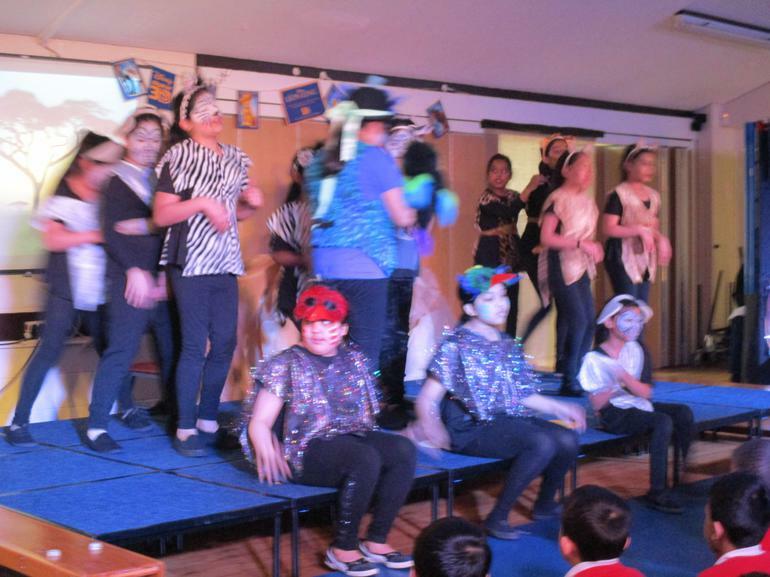 Year 5 are performing in The Lion King in March 2016. We will be travelling to a theatre in London to watch the show on Wednesday 25th November 2015. We hope everyone has a fantastic time. We have been learning about gymnastics with Miss Curren and we have learnt some new gymnastics moves. We have started to put these moves into a sequence using the gymnastics equipment. We are three children who have all lived in Italy before coming to live here in Britain. There are many differences between Italy and England, as well as many things the same. In England we have to wear school uniform but in Italy there is no such thing. In England women sometimes wear scarves but in Italy no one does. In England we don't seem to go to the beach but in Italy we lived near a beach and went often. In Italy we knew everyone and here we are still making friends. In Italy there was not toast and juice in the morning but there we ate fruit instead. In Italy the fruit we had was fresh from the tree - we had cherries, apples, kiwi and oranges. In Italy the school gate opens at 8am and lessons started at 9pm. We finished school at 4pm. Here in England we go to mosque school after this school but in Italy we didn't go because there wasn't one. In Italy we learnt about Charles Darwin and went to a museum to learn about him. We had English lessons - we learnt the numbers and colours and how to say them. We learnt all about the festvals such as Easter, Christmas and Mother's day and the head teacher came to the parties. The weather in Italy is very warm in summer and pretty cold in Winter. They don't have carpets so much so we feel the cold. In Spring many flowers grow. At the end of the school day we all used to do a count down and then run to our parents. Hello everybody, this month we have been learning about Black History Month, which is something that I didn’t know about. We have had three special visitors come to our school. One of the was called Kurly, who is a poet, and he worked with Year 6 and told us about special people who made a huge difference. One of my favourites was Muhammed Ali because eh said “Fly like a butterfly, sting like a bee” and all his words put confidence in me. After that, Kurly came to our class 6H and we did rhyming couplets. I really enjoyed myself this month when Kurly, the amazing poet came to visit our school. My favourite part of Black History Month was when we did the African dancing. 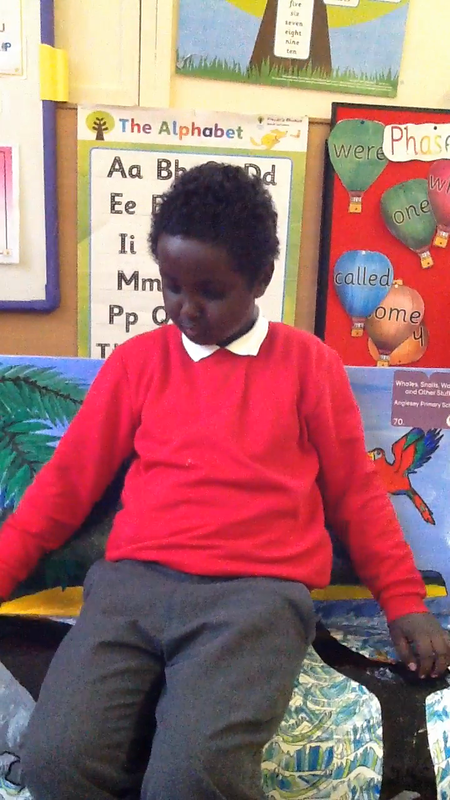 We got to paint some African masks before, as they were going to be part of our dance routine. There were quite a lot of things we learnt about Black History, but the thing I will never forget is that Lonnie Johnson invented the Super-Soaker and Garnet Morgan invented the traffic lights and gas masks. During Black History Month, we’ve had a lot of amazing visitors. We had a poet who came and his name was Kurly. He taught us how to write amazing poems. I really enjoyed it. We had African mask painting and what we had to do was paint the masks, which we used for our African dancing. We also had African drumming for Black History Month, but the things I really enjoyed was Kurly’s visit and African Mask painting. Muhammed Ali said “Fly like a butterfly, sting like a bee!” For that he became famous. Lewis Latimer invented the lights to help us read at night. All these black people have made a huge difference. 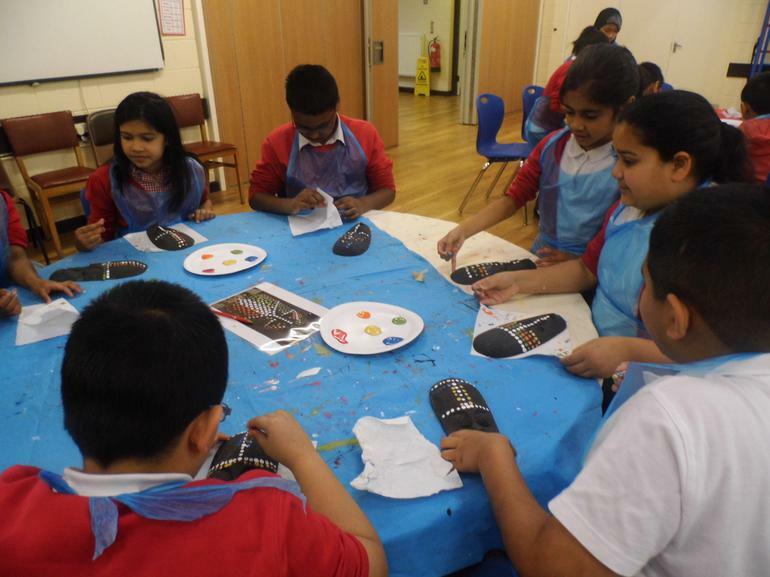 Recently we’ve been taking part in many activities to do with Black History Month. The first thing we did, was to have a session with a poet called Kurly. We had lots of fun, experimenting with rhyming words and making our own poems. On another day, we were painting African masks. We learned a lot of new things, like the names of the tribe that used the masks we were painting. I really enjoyed the experience and I learned a lot. Hello, this month we have been learning about Black History. We had a poet named Kurly visit us and he told us all about different people and how they stood up for their rights and about people who invented things we use today. My favourite part is when we made a poem. It was really fun and exciting. We did some African mask painting and we made colourful patterns, which was really cool! Hello. At Anglesey, we’ve been celebrating Black History Month. During Black History Month, special visitors came and showed us how to paint an African mask. We enjoyed painting our African masks with our different designs and patterns. Later on, we did some African dancing and took our masks with us for our dance routine. Some children danced in the middle of a circle, which was really funny! We really enjoyed Black History Month.